Vision, design, and development of Google's first global experiment to inspire a creative and collaborative team culture in Google gTech Publishers. 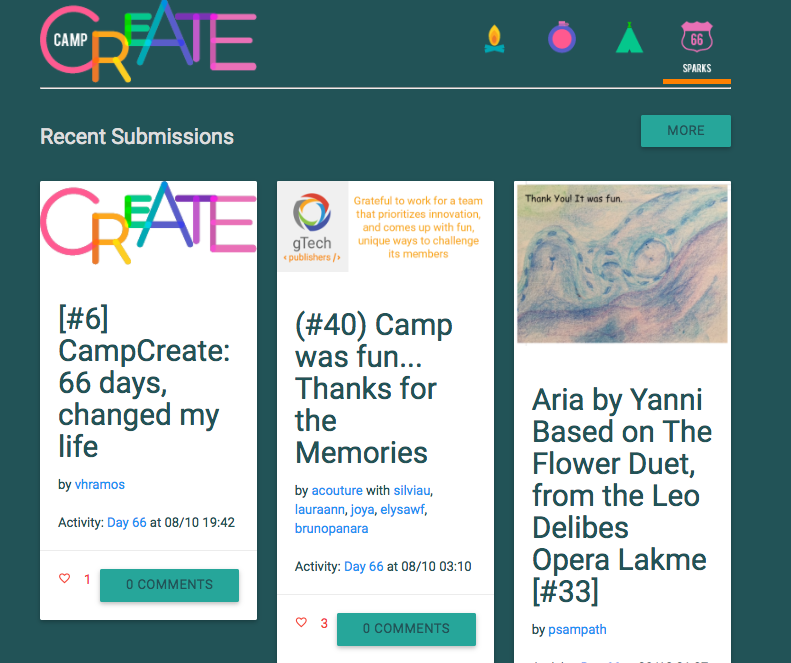 The Camp Create interactive digital platform helped to build a “habit” of innovation. 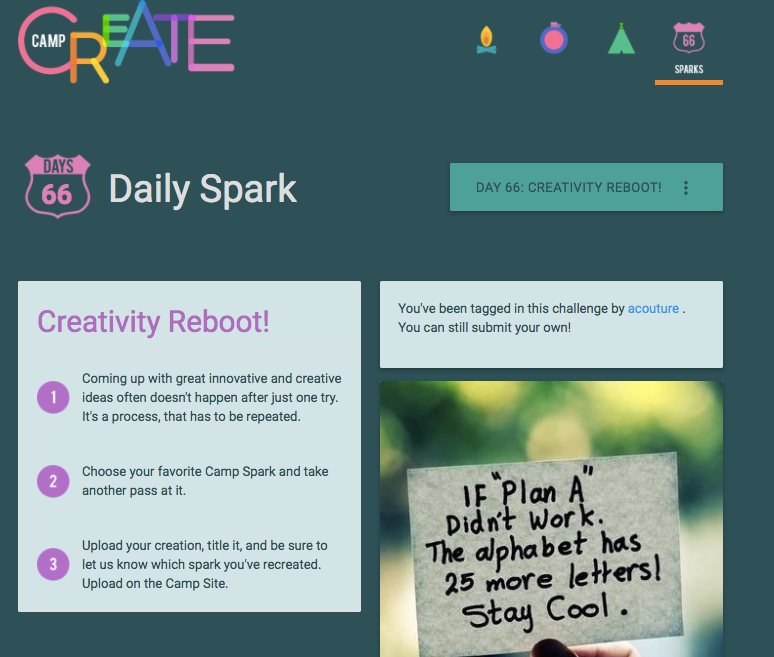 Every day participants were prompted with bite-sized 15-minute creative exercises to get their creative juices flowing. Each activity could be completed solo or collaboratively. The activities were built to be created offline and then shared online to encourage the global competition for participants to reach the finish line. The design of the platform enabled a remote look into creative participation and development of the organization.